RICS or The Royal Institution of Chartered Surveyors RICS, independent international professional organization established in Great Britain as far back as in 1868 to represent the interests of property, land and construction specialists. RICS sets, maintains and regulates standards and professional activities, protects interests of the clients and customers by way of control over strict compliance of the ethical requirements and professional standards as well as delivers updated information and objective recommendations thus making membership with RICS a mark of quality for the property professionals all over the world. 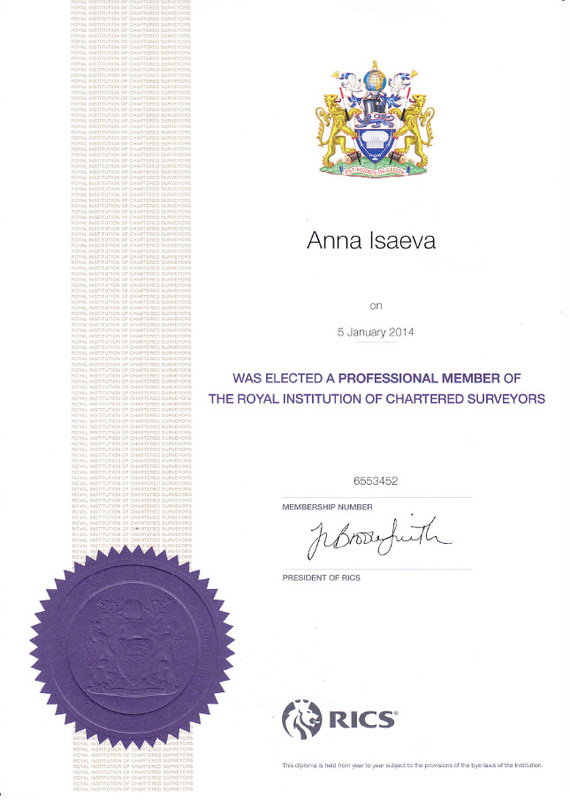 Anna Isaeva and Irina Komar, Managing Partners of Professional Group of Appraisal LLC, have successfully passed the qualifying examination for membership with The Royal Institution of Chartered Surveyors (RICS) (Great Britain). In accordance with Irina Komar, Managing Partner of Professional Group of Appraisal LLC, “A consultancy firm with a RICS member enjoys a distinctive strength in the market since many clients, especially, international ones, request valuation works in accordance with RICS standards. In addition, this qualification improves the level of client’s trust and also supports our high professional level”. Anna Isaeva said that she has the honor to be part of this professional community and that she is proud of MRICS qualification of her and Irina Komar, which is awarded to members of RICS. RICS standards are recognized in 146 countries of the world and are the most recognized and reputable in the valuation industry. “We have plans of further development and intend to be trained as assessors and become members of the examination panel”, said Irina Komar, Managing Partner of Professional Group of Appraisal LLC. 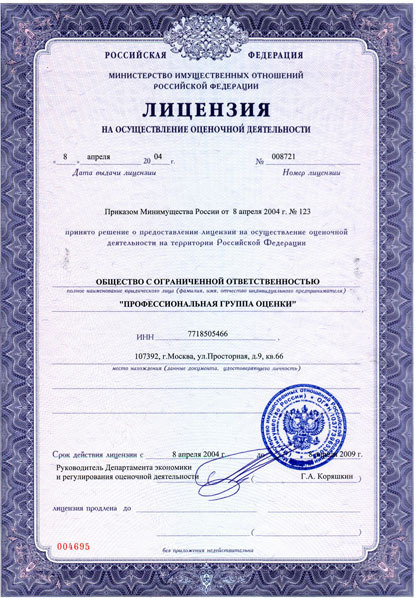 Professional Group of Appraisal LLC intends to closely cooperate with RICS Russia & CIS. Professional Group of Appraisal LLC is a co-sponsor of the 2015 event, which is eminent for the valuation community, - International Conference, “Valuation in Today’s Market: Challenges and Solutions” convened by RICS Russia and CIS and held from 10 a.m. to 16:30 p.m., 16 April, Conference venue: Marriott Moscow Tverskaya Hotel, located at: 34, 1st Tverskaya-Yamskaya Street. Pavel Kurochkin, General Director of Professional Group of Appraisal LLC, said that “membership of our employees with RICS opens possibilities for us of fruitful cooperation. We are pleased to be partners of the events conducted by RICS Russia and CIS, and also make a strong contribution acting as advisers for new probation members of RICS.